I was never supposed to be in Shanghai. From Xi’an the plan was to head for Beijing, stopping in somewhere called Pingyao on the way. This all changed when I found that the Russian embassy in Beijing doesn’t like issuing visas to non-chinese people, and two days later I found myself taking a sleeper train down here to find the apparently more lax Russian consulate. 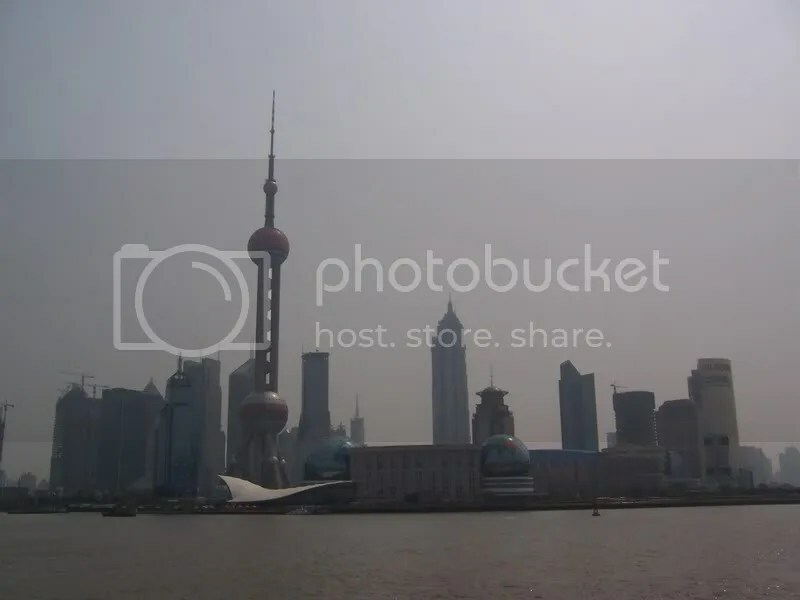 Shanghai is famous in China for being immense, sprawling and ultra-modern. The people are famous for being unfriendly. As far as I can see the first of these ideas is correct and the second a bit of an unfair generalization. Most people I’ve met are as friendly as any in China, unsurprising as hardly anyone I’ve met is really from Shanghai. The best thing about the city is the, for want of a better word, civilisation. 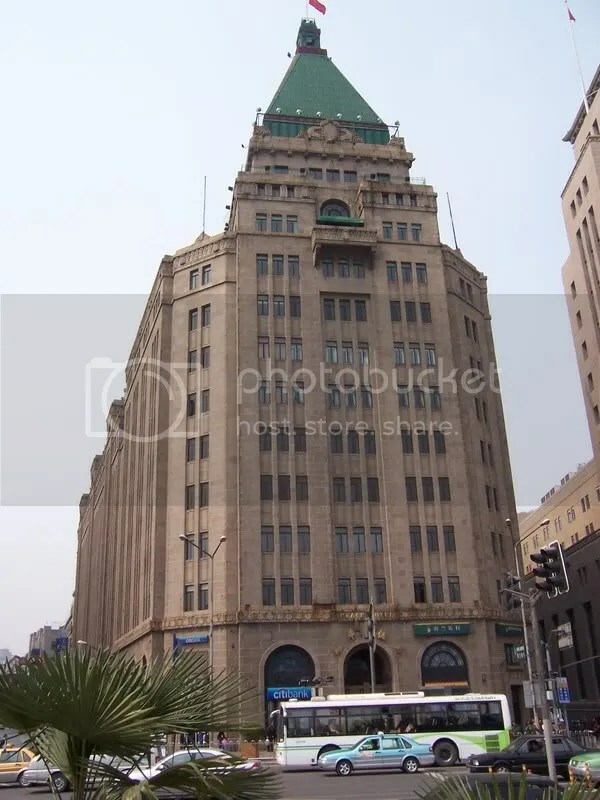 Cars stop at traffic lights, bad drivers get stopped, people queue for tickets in the subway station… If you don’t find any of these things remarkable then you’ve never lived in China. On the other hand there are worse annoyances than elsewhere. 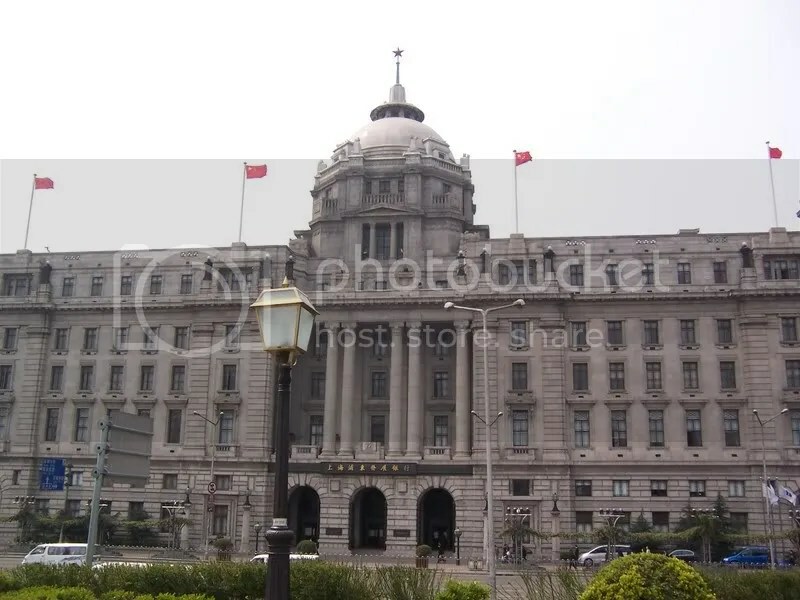 In my one hour on The Bund I almost got taken away by some student girls (who I decided had some kind of scam in mind, not sure what), had a very stupid shoeshine man squirt show polish on my suede shoes and got into a serious argument with a postcard-selling woman. Away from the small tourist area the only problem is how expensive everything is. After a painless appointment at the consulate my first couple of days were only marred by life at the hostel. The place was nice enough, but I had the misfortune of being put in a room with one of the weird middle-aged English twats you come across in Asia. The first warning sign was his choice of reading material – a Jeremy Clarkson book left on the bedside table in the unoccupied room. When I met him the first evening he was on the phone arranging a date with a Chinese girl and talking self-importantly about star signs. He sounded like he was about to marry the girl, but when he put the phone down he told me he was engaged to a girl in Japan and after a bit of fluff while he was here. At 4am the next moring he shook me awake to tell me I was snoring. I hate sleeping in a room with someone who’s snoring myself, but the way he woke me scared me in a way I can’t easily explain. I could see underneath the smooth ladies man he had some serious anger in him that I didn’t want to stick around to see. The next night I moved rooms. Then, with the best part of a week to go before I could pick up my passport, I went to visit some other places around the local area. When I got back he was gone, and a selection of better people had arrived, most of them Swedish. These last two days I’ve picked up my passport, hung around at the hostel drinking beer, and yesterday spent the best part of the day searching for the artificial English city that’s being created on the outskirts. (There’s an article about it here) It took three hours, one tube train and four buses to find it, and it probably wasn’t worth it. Maybe in a few years there will be something to see, but right now it’s just a fairly nice half-built university city. After another three hours, two tube trains and two buses I got back for more barbecue and beers. So, in about an hour I’m off to Beijing. 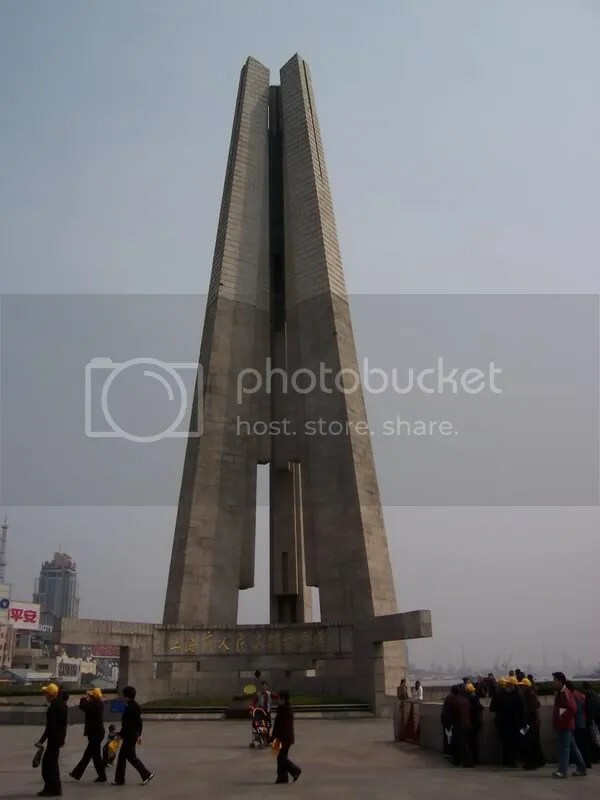 Strange new skyscrapers across the Huangpu. 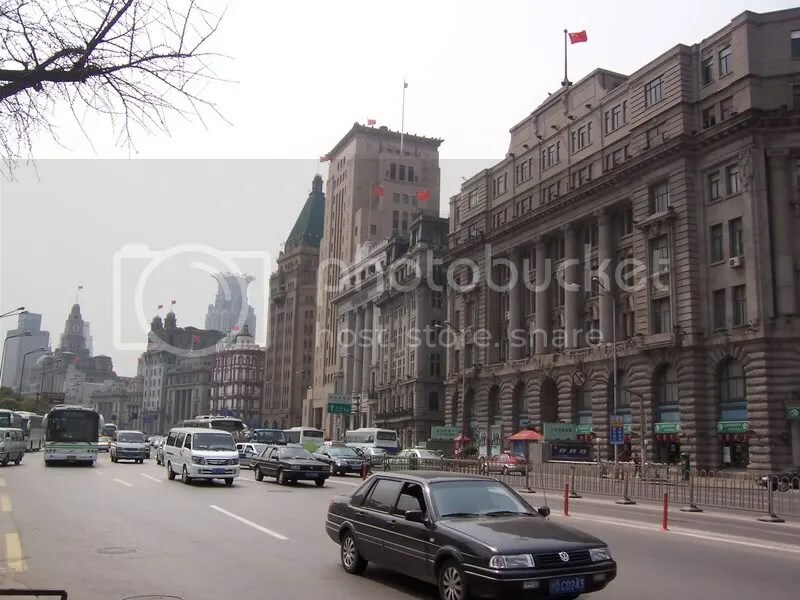 The Bund – hundred-year-old colonial buildings.